And, if you’re away from the TV you can watch every event on the web, or on your smartphone, plus like your favorite athletes on Facebook. 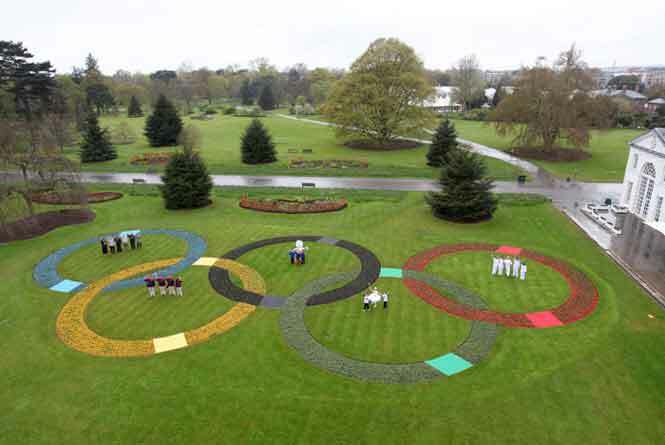 On Wednesday, celebrations took place across the UK to mark 100 days to go until the London 2012 Olympic Games. 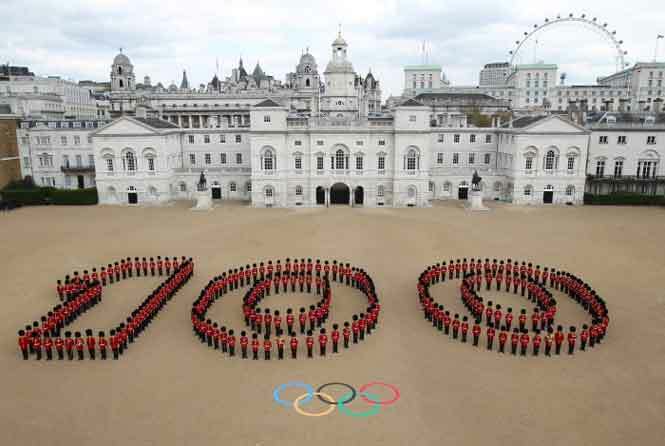 260 Guardsmen from Guard mark 100 days to go to the London 2012 Olympic Games. 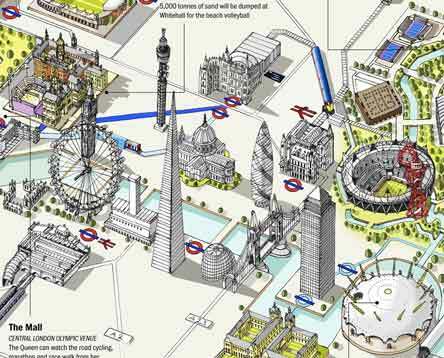 Shown are Horse Guards Parade in central London – venue for the Beach Volleyball competition. Giant Olympic Rings in the Royal Botanic Gardens, Kew. The Rings, 15.5 metres each in circumference, are made up of a total of 20,000 plants and are visible from the Heathrow flight path. 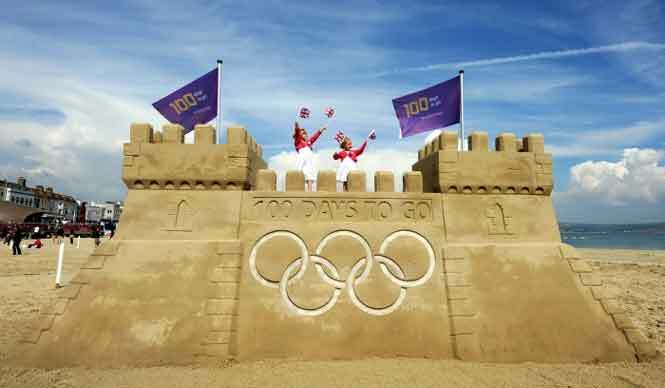 Weymouth and Portland – location for the London 2012 Sailing competitions – have marked 100 days to go to the Olympic Games by building a giant sandcastle featuring the Olympic Rings on Weymouth beach.